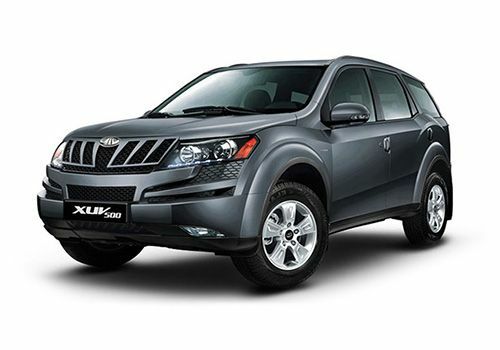 One of the leading SUV manufacturer in India, Mahindra and Mahindra has launched the all new XUV 500 W4 variant in the country. This is the newest variant in this SUV model series and it is blessed with a lengthy list of features. Under the hood, this new variant is blessed with the powerful 2.2-litre mHawk diesel power plant that is also performing duties in the W6 and W8 variants. In terms of specifications and technicalities, this particular new trim is the same as the W6 variant. As far as the appearance is concerned, the Mahindra XUV 500 W4 trim is no different from the existing variants in its model series. The company has offered some of the very exciting exterior and interior features to this vehicle in the form of projector headlamps along with LED daytime running lights, plush interiors with dual tone color scheme, a 6-way adjustable driver's seat, dual zone air conditioner with heater, dual air bags, power adjustable external rear view mirrors, and lots more. The company has fitted all the wheels with disc brakes and have further augmented them with ABS and EBD braking mechanism. This new variant also comes with a Micro Hybrid Technology along with an integrated music system with CD/MP3 player and four high quality speakers that offers relaxation and entertainment to the passengers. In terms of appearance, this all new Mahindra XUV 500 W4 trim looks the same as the other existing variants. The company has retained the projector headlights along with the LED daytime running lights that emphasized the sporty appeal of the front profile. The headlight cluster surrounds the company's signature radiator grille that has been decorated with the chrome plated company logo. There is a lot of perforation you can notice on the front profile that adds to the sporty style and improves the air intake. The front bumper has been painted in body color and has been fitted with protective cladding just under it. The overall front profile looks muscular and makes an aggressive statement on the go. The wheel arches on the side profile have been curved beautifully with expressive design. These wheel arches have been fitted with conventional steel wheels that are further covered with full wheel caps. The doors have been beautifully decorated with body colored ORVMs and door handles, while the window sill gets the black color garnish. As far as the rear profile is concern, it has a bold structure that will certainly turns the heads on the go. The taillight cluster design is completely unique that adds a distinct look to the rear. Coming to the interior cabin section, this all new Mahindra XUV 500 W4 trim is blessed with a plush cabin with dual tone environment. This will offer a pleasant feel to the passengers as soon as they step inside the vehicle. The company has installed the flexible seats with unique configuration that offers convenience as well as storage space. There are quite a number of utility based functions incorporated to the inside cabin, which will enhance the convenience and comfort levels inside. However, the seats are covered with Jaquard fabric upholstery, whereas the 2nd row center armrest have been given with two cup holders. Inside the cabin, there is a 6-way adjustable driver seat that can also be adjusted for height. Apart from these, the company has also incorporated a tilt power steering column , power adjustable ORVMs, electrically operated air conditioner system and lot more functions to this particular base trim. The newly launched Mahindra XUV 500 W4 base version is blessed with an advanced 2.2-litre mHawk diesel power plant that is incorporated with a 5th generation Variable Geometry Turbocharger. This engine with 4-cylinders and 16-valves can produce 2179cc displacement capacity. This will allow the engine to release an immense power of 140bhp at 3750rpm, while generating a maximum 330Nm of torque output at 1600 to 2800rpm. The company has coupled this mHawk diesel power plant with a 6-speed synchromesh manual transmission gearbox that releases the engine power to the front wheels and returns a class leading mileage and delivers exceptional performance. The Indian auto major has not compromised on the braking and handling aspects of this luxury SUV. This particular base version is blessed with proficient braking system with disc brakes fitted to all its four wheels. This disc braking mechanism has been further enhanced with a sophisticated anti lock braking system and electronic brake-force distribution system . On the other hand, its robust system system contributes for the stability of the vehicle and keeps it agile on roads. Its front axle is blessed with McPherson Strut type of suspension, while its rear axle has been bestowed with Multilink type of a mechanism. This suspension mechanism is further loaded with anti-roll bars, which will enhance the driving comforts. Furthermore, its tilt power steering system is very sensitive, which will assist the driver even under the low speed conditions by responding precisely. This new Mahindra XUV 500 W4 trim is blessed with a set of exciting comfort features that are worth more than the price tag of this SUV. The company has incorporated some of the features such as an electrically operated temperature control with dual HVAC, Jaquard fabric upholstery, power adjustable external mirrors, a 6-way adjustable driver seat including height adjustment and quite a few other functions. The list of convenience features include a remote tail gate opening, flip-key with remote central locking, tinted solar reflecting glass, mobile charging points, glove box with laptop holder, remote fuel lid opener, follow me headlights, rear wash and wipe are just to name a few. Apart from these, the Indian automaker has incorporated technically advanced features including integrated music system with 4-door speakers , a digital immobilizer, digital trip and tachometer as well. As far as the safety aspects are concerned, this all new Mahindra XUV 500 W4 trim comes with most important protective functions that assures safety of the passengers. These safety aspects include dual front air bags for driver and passenger, anti lock braking system with electronic brake-force distribution system, side impact beams, crumple zone for crash protection, high performance tubeless radial tyres and sophisticated disc brakes. Pros: Very powerful engine, competitive price, striking exterior appearance. Cons: Safety and comfort features needs to improve, mileage is very poor.